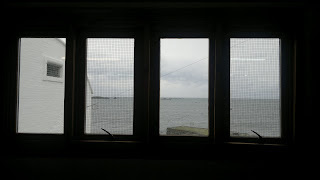 After completing the initial tour of Ardbeg, we moved back to the main buildings, where the Kiln Cafe and offices are located. Not expecting too much from this prize we were surprised to be then taken into sanctuary of the Chairman's Study for some tasting. 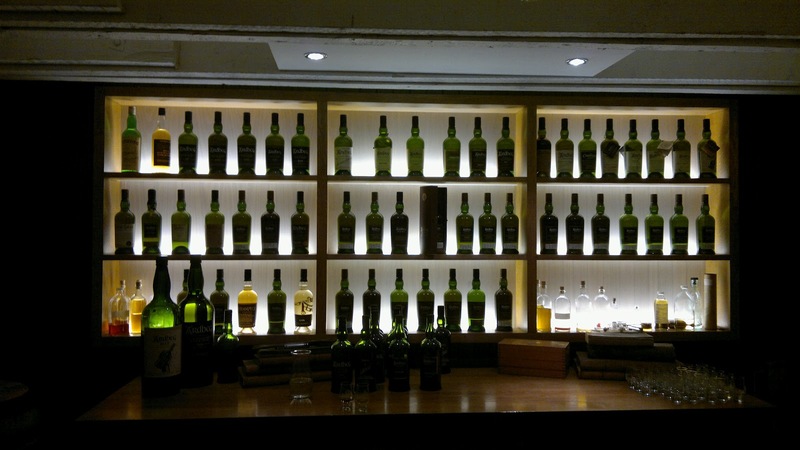 Within this lair lies a fine selection of Ardbeg's all lined up looking down upon anyone seeking a taste. Normally these are bottles you only see at auction or hear about; they are firmly out of touch. Yet here they were. 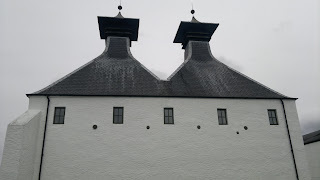 On the normal Ardbeg tour at the end you receive a wee dram in the bustling shop area. 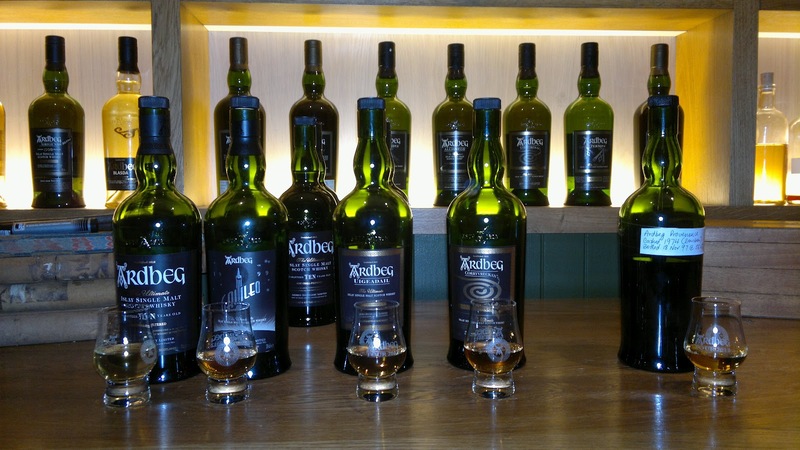 Instead as a prize winner Ardbeg had lined up a selection of malts to taste. The standard ten year Ardbeg kicked things off and it is one of the best staple bottlings you can purchase and worth that little extra compared to mainland brands. We moved onto the Ardbeg Galileo, which I do have but hadn't gotten around to opening. Apparently it does grow on you but I wasn't taken with it - you can see the generous samples were flowing - the finish just didn't rest easy with me. Perhaps an acquired taste yet amongst this line-up it was a poor cousin. Switching up through the gears Uigeadail and Corryreckan followed marking the upwards trend and raising possibilities of where Ardbeg will go next. Then we came to the real star and for me, a wonderful treat. 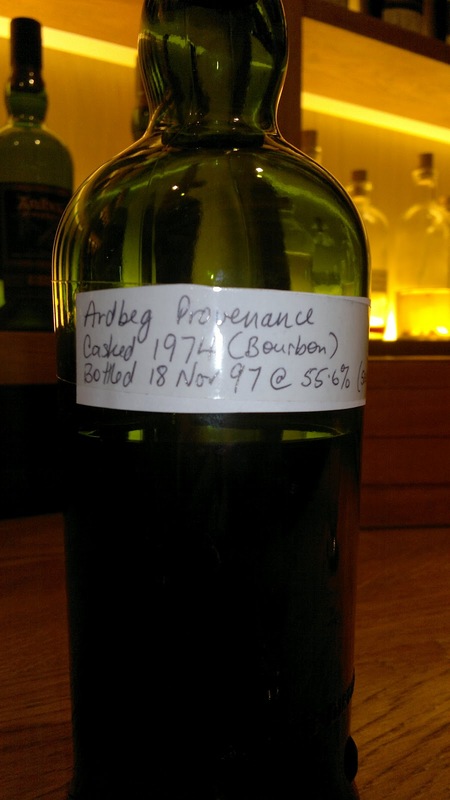 The Ardbeg 1974 Provenance is a bottle I've heard about over the years. I do recall Jim Murray's review for the Whisky Magazine a couple of years ago proclaiming it was the finest whisky he'd tasted at that time. It is hard to disagree. 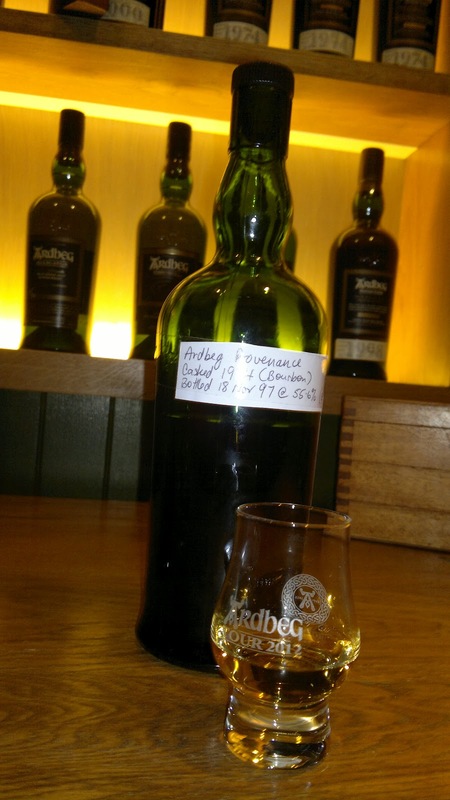 Now having experienced this legendary Ardbeg it is the best whisky I have ever tasted. Bottled at 55.6% this should have a kick to is, but the actual convoy of flavours are smooth and worldwide; there is no savage kick here just an endless journey of notes and the best finish I've experienced. This bottle has an interesting tale as you can see it is not a standard release. Originally it was at head office before being sent back to Ardbeg as part of a spring tidy. You've got to question the tastes of anyone at HQ for having let this bottle sit idle for years and missing out on a wonderful experience. Needless to say this tasting was a real highlight - even the following day my tasting glass smelt of a sweetness explosion. If I can find a bottle that is legit, and that's the issue with such collectable Ardbeg's, it is worth every penny. 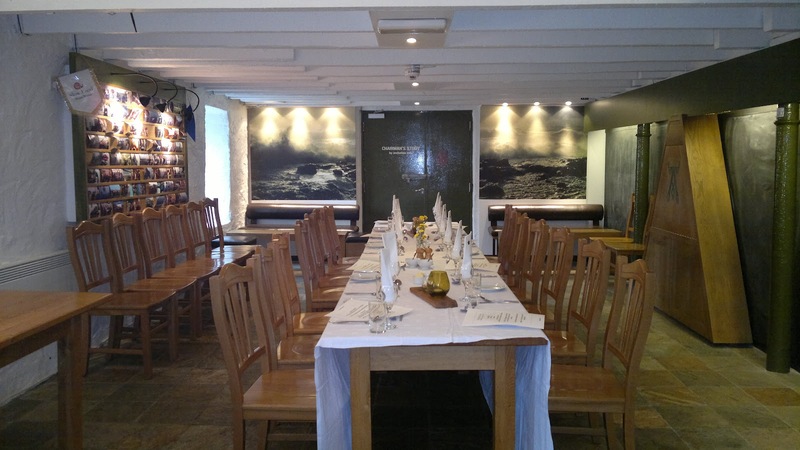 After this tasting experience we enjoyed another at the Kiln Cafe which is a popular destination and worth booking in advance by itself. The food is very good with the lamb & haggis burger a delight and you've got to check out the cheesecake flavoured with Ardbeg. The distillery shop is worth saving up for; a fine selection of clothing, Ardbeg pieces and a fine collection of the main range including Galileo's. So this was a wonderful prize and a great tour - my thanks to everyone at Ardbeg and if you want to view my complete set of photographs click here.